Having a few days off this week, we headed into the Kruger National Park (South Africa). As is most times we enter the gates we wander on the first bird and or animal we will come across. More often or not its the common Impala (Aepyceros melampus) and this this got me thinking, although the most widespread antelope in the Kruger National Park by far, how did it fair in Sub-Sahara Africa? 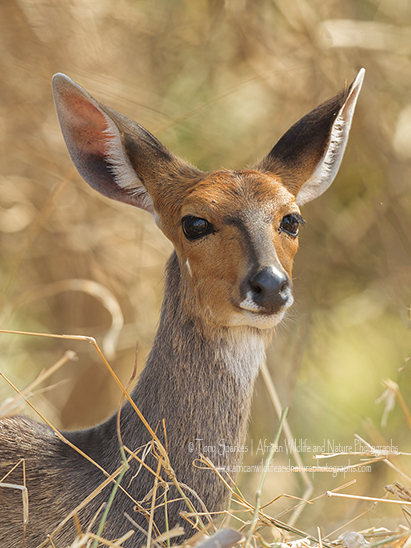 I must admit I was shocked to learn in fact in was the Bushbuck (Tragelaphus scriptus) and (Tragelaphus sylvaticus) that are the most widespread of the Sub-Saharan antelope. I was further to learn that the Bushbuck were in-fact split into two species (as detailed above) which was something new to me. They are the kéwel(Tragelaphus scriptus) and the imbabala (Tragelaphus sylvaticus). The imbabala is related to the Bongo and the Sitatunga, and the kéwel to the Nyala. Here then in South Africa, the Bushbuck we refer to are (Tragelaphus sylvaticus related to the Bongo and the Sitatunga, which occur from the Cape of South Africa through to Angola and Zambia. That over with, other information about the Bushbuck. This antelope is found virtually in all habitats from woodlands to montane forest and rain forest. The Bushbuck found here are slightly bigger than the other species found further North and the colour differs quite substantially with difference in the spots and the stripes in both species but both species have light brown coats, with up to seven white stripes and white splotches on the sides in a variance. The Bushbuck stands about 90cm (3ft) to the shoulder and depend on male or female weighs between 40-80 Kg (88-176 lbs) as their is sexual dimorphism.